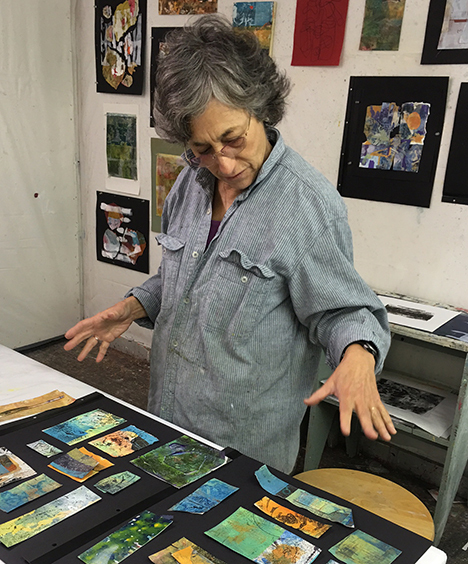 Monoprinting is a playful, exploratory process requiring neither a press nor a background in art. On a plate of gel or plexiglass, images are made with paint, rollers, sponges, netting, leaves or anything else which might create an interesting pattern. The focus is not upon the finished work but upon the experience of discovery and making art. First Sundays, 10 a.m. to 2 p.m.
$40, $32 OHCA members, $5 materials fee. $5 materials fee goes directly to the facilitator on the day of the class. In 2002, Candis returned to OHCA to join the mono printing group led by Cayen Robertson and Karen Cox. 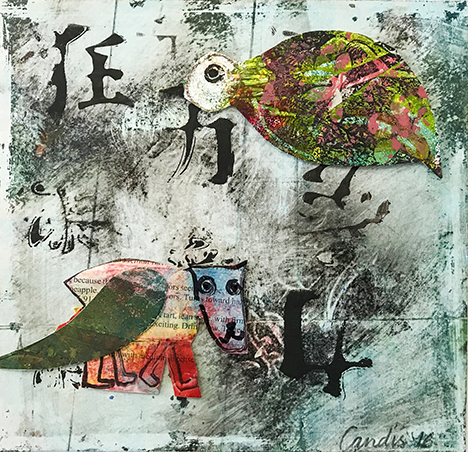 In her own work, Candis tries to keep moving forward without a plan, just to see what comes.